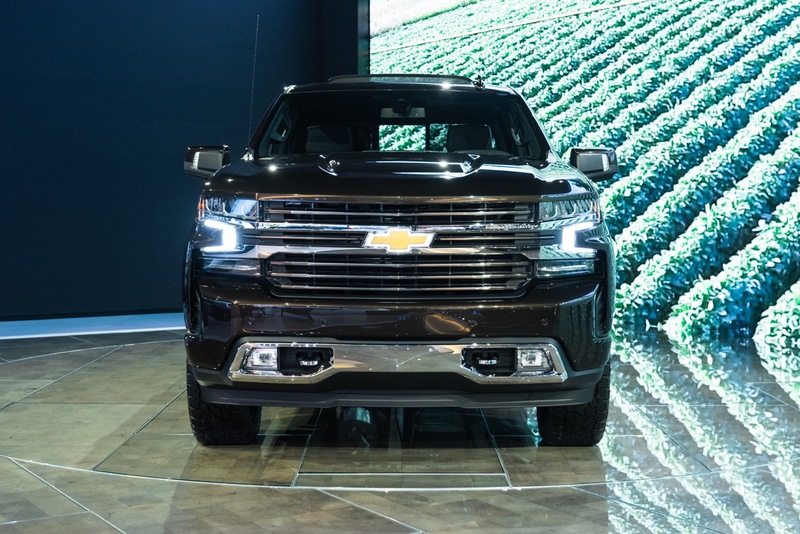 The Chevrolet display at the currently-ongoing 2019 North American International Auto Show in Detroit features a 2019 Silverado 1500 High Country with the Chevy glow tie. 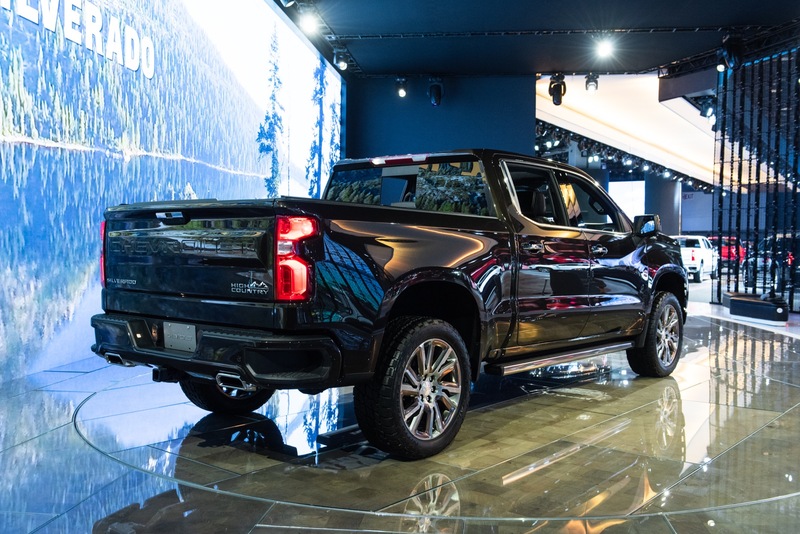 So we captured the following live photos of Chevy’s new pickup truck equipped with the illuminated bow tie to show you how the official accessory looks in person. The illuminated bow tie, unofficially known as the glow tie, may seem like a minor customization – but it certainly catches the eye. The Chevy glow tie is sold as a pair of front and rear bow tie logos, available in either the traditional gold or in black. It is important to note, however, that only the front bowtie illuminates, and the rear emblem does not. The Chevy glow tie emblems are crafted from quality ABS plastic and have been thoroughly assessed to ensure 100 percent water resistance. In addition, glow ties can withstand a range of extremely low (-40°F/-40°C) and ridiculously high (+158°F/+70°C) temperatures. 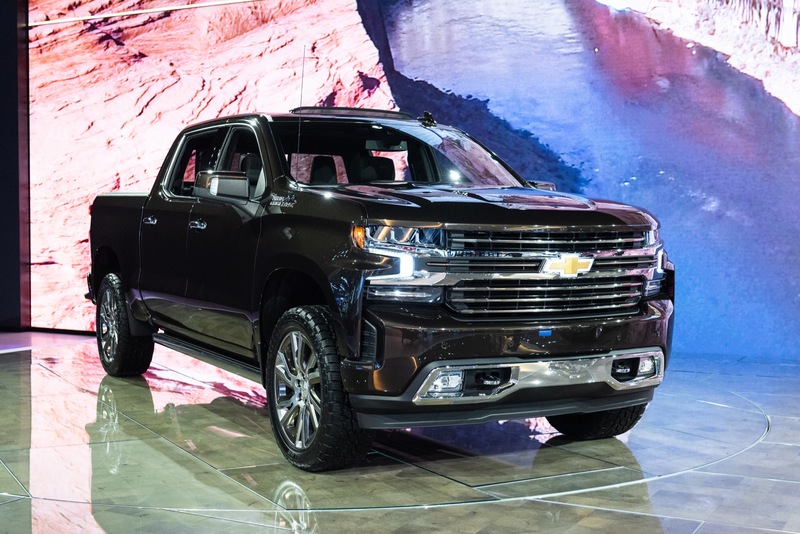 So, what do you think of the Chevy glow tie on this 2019 Silverado? Talk to us in the comments below. 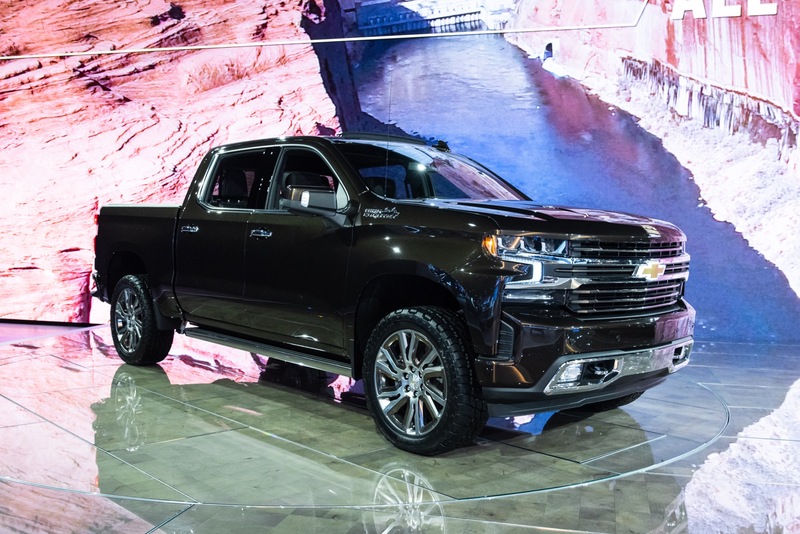 The Chevrolet Silverado 1500 has been overhauled for the 2019 model year. 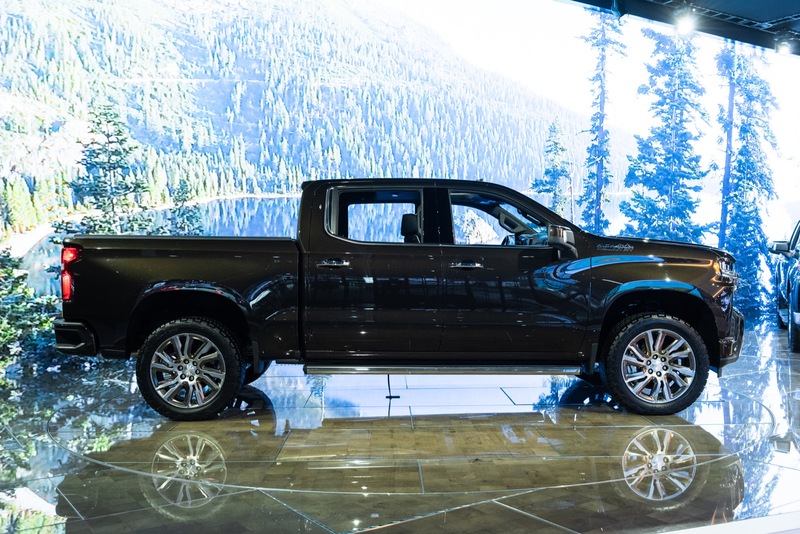 The new pickup truck is built on the new GM T1 platform, which enables the new full-size pickup to be larger, while simultaneously shedding some weight. The standard engine is the 5.3L V8 L84 mated to an enhanced 8-speed automatic transmission. The duo delivers 355 horsepower and 383 pound-feet of torque. 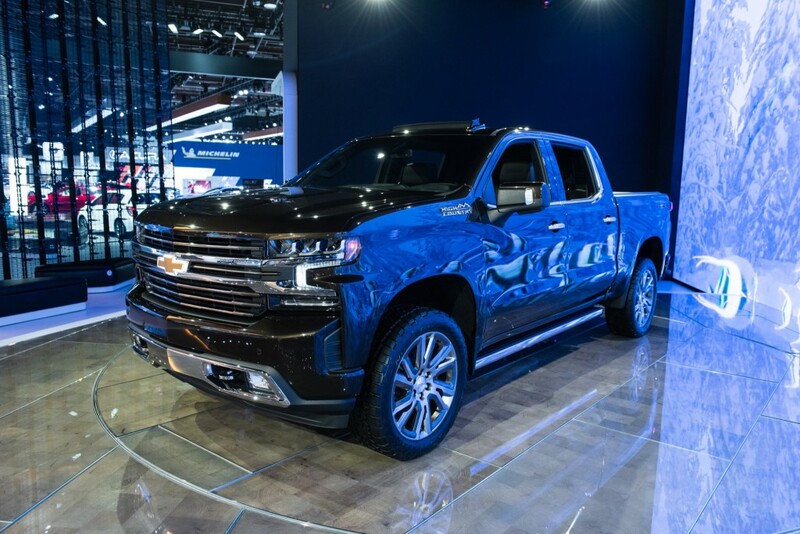 The optional 6.2L V8 L87 engine is paired with the new GM 10-speed automatic transmission, with the combo being rated at 420 horsepower and 460 pound-feet of torque. Both of the second-gen EcoTec3 V8 motors feature Dynamic Fuel Management technology, which allows the engine to function in 17 different patterns between 2 and 8 cylinders as a means of optimizing power and efficiency. I really like the Glowtie! It’s rather expensive however. Unfortunately it’s not offered on less expensive models. I have a 2018 Spark and there is not even a GM part number for black bowties. I found them in South Korea where the vehicle is manufactured so I am going to order through eBay.